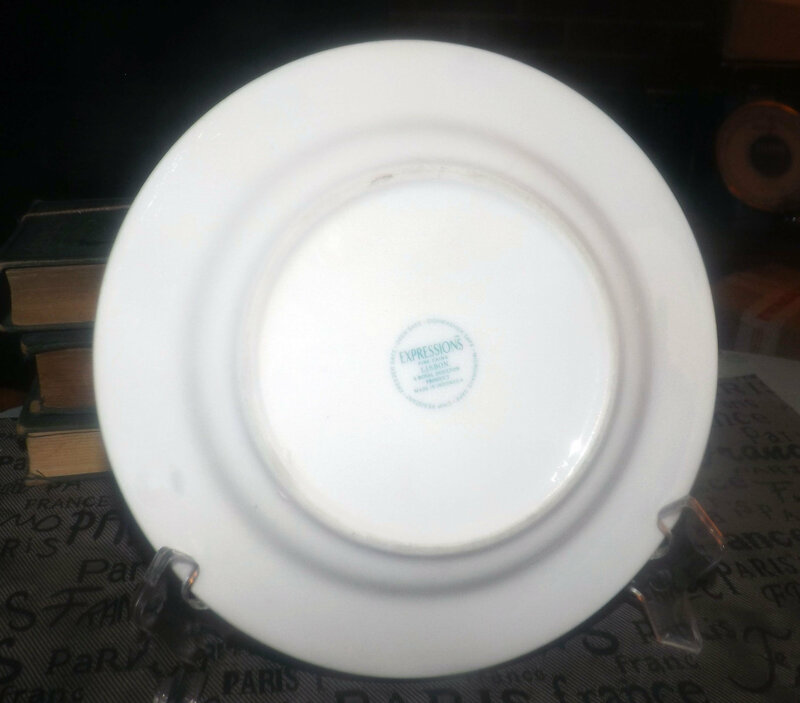 Vintage (1998) Royal Doulton Lisbon salad | side plate. 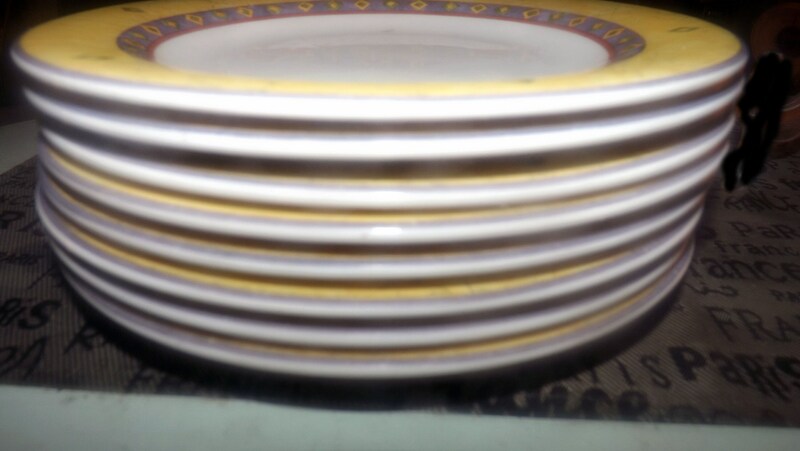 Green, yellow diamonds, blue, red, yellow bands. 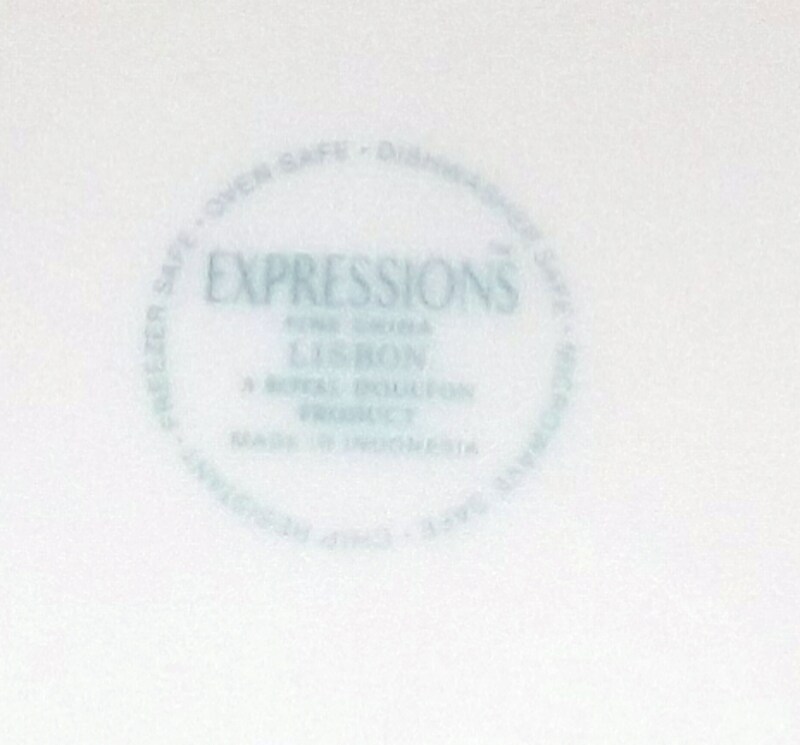 Expressions dinnerware. 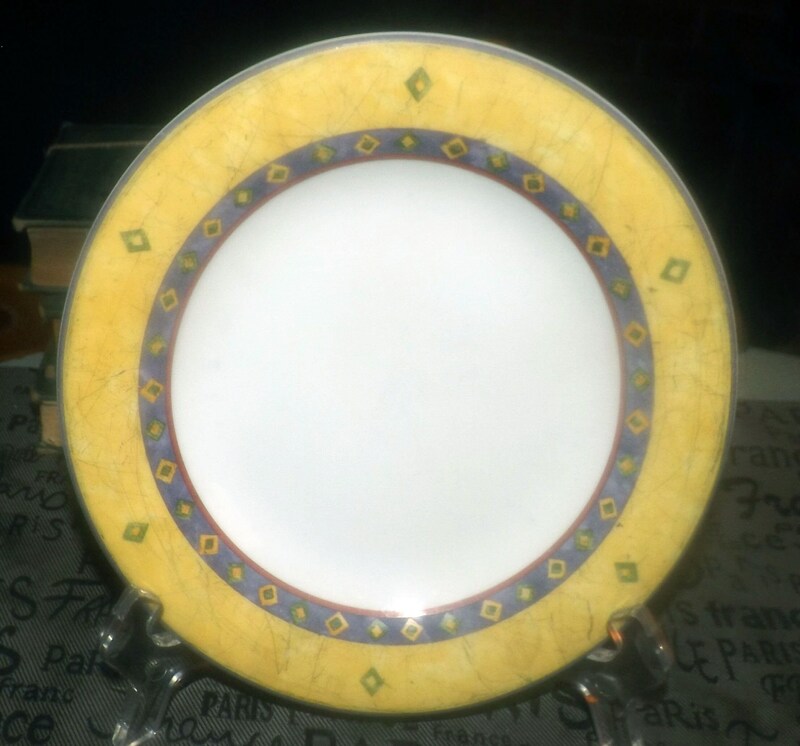 Vintage (1998) and very hard to find Royal Doulton Lisbon pattern salad or side plate. 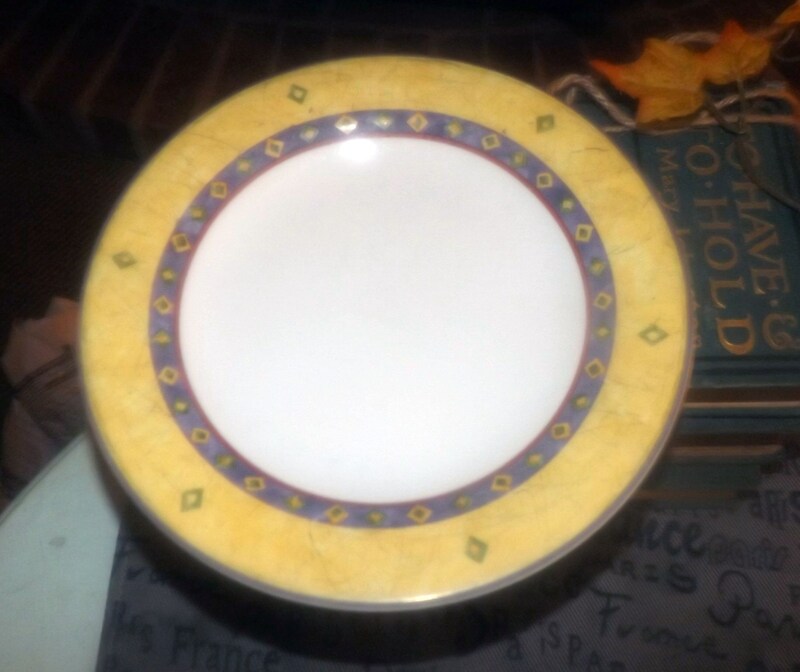 Approximate measurements: 8" in diameter (measured edge to edge) with a mottled yellow border and smooth blue edge.